SALE!! 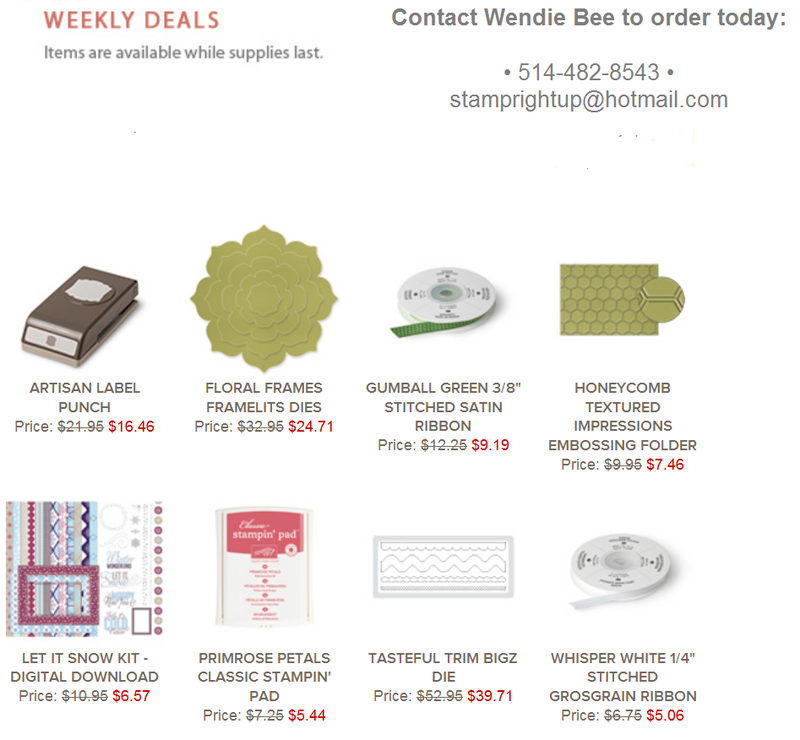 Stampin Up Weekly Deals: Feb 11 – 18 2014 ~ 20% off | Stamp Right Up! ← Sale-A-Brate with me & Join my Stampin Up team!